As the recently appointed editor of Leadership Perspectives a new Journal of Leadership Studies section, I co-hosted an open house during the Knowledge Without Boundaries Annual Symposium for our research center, the Center for Leadership Studies and Educational Research (CLSER). The center’s approach to working with prospective researchers is to remove the elitist feeling sometimes surrounding research and instead provide a more nurturing, non-competitive environment so that new researchers can develop a bona-fide rigorous and meaningful research agenda with application to the practice. One open house attendee had a challenging time accepting that the subject of leadership was a practice or discipline like any other subject such as: psychology, sociology, nursing, and the like. His major contention was that unlike other subjects, leaders do not typically read about how to become better leaders. Leaders, he said, seem to develop their own style to take advantage of their hierarchical role. His point had some merit. Leadership has been studied for numerous decades not necessarily to turn out better leaders, but to discover why some leaders succeed and some fail, to determine leadership application and integration, and to place the discipline of leadership as a framework amongst all disciplines. And in upcoming editions, the Journal of Leadership Studies (JLS) will expand to include articles that apply such knowledge to the four domains of Boyer’s Model of scholarship. The degree to whether various leaders turn to the JLS or similar publications for the purposes of improving their leadership abilities or to zero in on improving their organizations is open for study. But what is known is that leadership research matters. It matters for not just how it connects to the literature, but that the practice stands a better chance of using it by those who care. That just might mean those in positions below and above the leaders who could benefit the most, but have not tuned in. 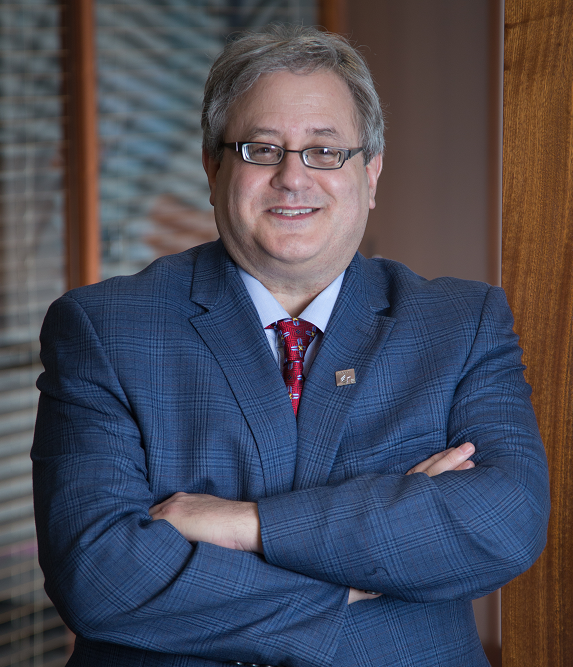 Undoubtedly, the pages of the JLS now in its 11th year, have yielded numerous studies that speak to the profession of leadership and the leader as a professional. But as the JLS prepares for Issue 11.4, we introduce an additional section called Leadership Perspectives. The section will focus on the practice of leadership and will showcase articles that might not necessarily rely on theory, but rely on what empirical evidence shows can benefit leaders and/or the field of leadership in general. These articles will be slightly shorter, a bit tighter (see the details in the Call for Papers below). The Leadership Perspective articles will impact those who lead no matter where they lead. Do you have a best practice that can be documented, that fits within the literature, and speaks to leadership? The Leadership Perspective may be the venue for you. Today, like the title of the 19th Annual International Leadership Association Conference held in Brussels dubbed, Leadership in Turbulent Times, the leadership profession functions within in a tumultuous space. We are bombarded by new people in power who sometimes use controversial, untried, and profound techniques to shape their subordinates, drive revenue, engage their customer base, and/or influence generations in politics, the economy, business, and the academy. Therefore, more than ever, we need scholarship that can more expeditiously yet rigorously address the immediacy important to practitioners. We welcome you to Leadership Perspectives! 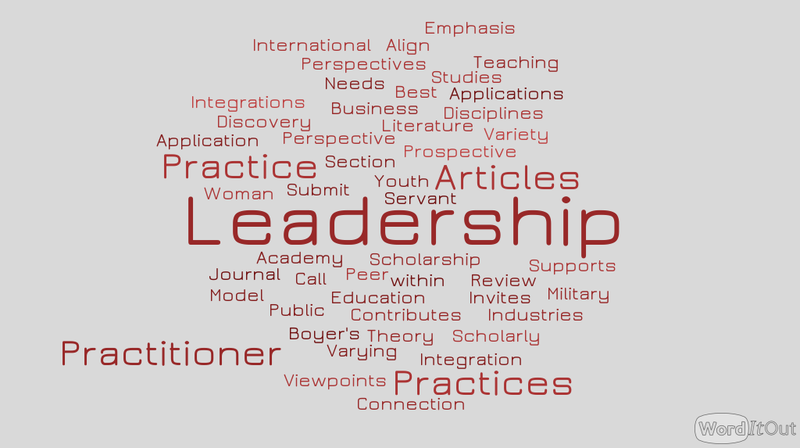 The approach for the Leadership Perspectives section aligns prospective articles to discovery, integration, application, and teaching within Boyer’s Model of Scholarship. The call is for practitioner based articles on varying leadership best practices and viewpoints, how such integrations, applications, and teaching contributes to theory and how theory supports these practices. The focus on the practitioner, therefore, helps to compartmentalize pieces to communicate important contemporary trends and information relevant to all leadership stakeholders. Present in the formation and foundations of the scholarship of discovery, integration, application, and teaching are the critical substrates of creativity, wonder, and wisdom. The scholarship of discovery is not devoid of these catalysts but informed by them. Their presence permits the formation of bridges, connections, to the other elements of scholarship by way of transforming societal problems and questions to useable knowledge through the use of the scientific method. Moreover, discovery, through the construction methodological inventions and approaches, develops tools for discerning and encountering what has yet to be fully understood or problems remaining to be solved. Leadership Perspectives welcomes pieces that imbue a sense of immediacy. Pieces that speak to leaders as professionals or those that speak to leadership as its used in a variety of settings are welcomed. The Journal of Leadership Studies is seeking articles that address the practice of leadership issues highlighted above. The Journal publishes peer-reviewed research articles that address leadership inquiry from a social science perspective, a symposium section that highlights invited conversation around topics in leadership theory, practice, and research, a media review section exploring perspectives of leadership in contemporary media and the new Leadership Perspectives that is geared towards more immediate and succinct pieces targeted to practitioners. Other areas within and outside these categories of interest include: digital leadership, customer and military leadership, women and minority leadership, nontraditional leadership in nontraditional venues. Manuscripts should be succinct and address a sense of practitioner immediacy, contemporary analysis, and/or insight at 1200-2200 words in length and in APA format. All reviews will undergo a blind peer reviewed process. Leadership Perspectives welcomes pieces that imbue a sense of immediacy. Pieces that speak to leaders as professionals or those that speak to leadership as its used in a variety of settings are welcomed. Images should be appropriately cited for copyright. The Journal of Leadership Studies reviews submissions based on its guidelines on a quarterly rolling schedule. Before submission, I recommend reviewing Step 2 of Four Steps to Help Avoid Publishing Pitfalls. You can then submit via this link.